What if Anger, the 'bad' emotion, isn't so bad after all? “Internalised, bottled-up anger is pandemic in our society and its consequences are catastrophic domestic violence, violent crime, all kinds of inappropriate aggression, war at all levels, despairing destructiveness. Anger is the most disallowed, unapproved of emotion in our society, and therefore the most repressed. The tell-tale body signs of repressed anger are visible all over: locked jaws, clenched fists, stiffened backs, jutting chins, raised voices, smouldering eyes. The evil seeds of imploded anger bloom in a thousand ways every day, destructive to others and ourselves. If we can only learn to be appropriately angry in the moment, protecting our personal territory against real invasion, anger would be a fitting response, an appropriate resolution of challenges, a treatment without negative side effects rather than a chronic condition whose impotence yields destruction”. These days, we often hear about leadership and what makes true and healthy leadership. Since I started my Training and Coaching company in 2001, I always believed and supported the idea that to be a real leader we must first master our own lives inside and out. We need to build our own well-being and of course that starts from inside. I always believed that being able to lead others is all about being able to lead ourselves first and foremost. And that leading ourselves first means knowing ourselves from the inside and out, and in all our dimensions (emotional, intellectual, physical, relational). One of these dimensions in particular, is one that we tend to forget or prefer not to deal with. Looking into it might lead us to recognise something about ourselves that we might have preferred not to see, so we don’t look into it. I’m talking about the emotional dimension, which refers to our feelings, empathy, moods and creativity. This is what, in his renowned book, Emotional Intelligence: Why It Can Matter More Than IQ, Daniel Goleman refers to as Emotional Intelligence. Being an effective leader in fact means being able to know and deal with our emotions fully and deeply, alongside being an analytical and logical human being. Only when we deal with our EQ as intently as we deal with our IQ, can we consider ourselves true and healthy leaders. Recently, I’ve gone through certain experiences which made me focus on the value of one emotion normally suppressed by many of us and rarely talked about. It’s called anger. Some time ago, we saw Serena Williams lose the U.S. Open final against her Japanese adversary. She lost control of her emotions after being accused of cheating and then penalised for doing so. It’s not the first time that Williams has ‘lost it’ on the tennis court, and she has paid a high price for it. People know her as a powerful and ‘difficult’ player. I remember when I was younger and McEnroe and Agassi were at the top of their game. They both got into trouble regularly because of their lack of emotional self-control when playing important games. Agassi went on to be coached by Tony Robbins and transform his life, discovering and nurturing a new level of emotional balance. Nelson Mandela, was a rebel motivated by anger against the white colonialists in South Africa. The 28 years in prison and isolation grounded him and made him understand that to really contribute to the change of his country, he first needed to change himself from the inside. Last week, I went to see a documentary about the life of Maria Callas. What came up was that she was also considered extremely challenging, a ‘diva’. These are just a few popular examples of people who’s life was or still is controlled by the power that anger has to be self-damaging. Does it mean anger is only present in successful people? Absolutely not. If we look carefully enough, anger is everywhere. Spouses are angry at each other; employees angry at their bosses; teens are angry at their parents and their parents angry at them; citizens are angry at politicians. But most insidiously and importantly, many of us are angry at ourselves. We’re angry and we feel like it’s wrong to feel that way. Our relationship with anger runs deep because of the messages we’ve received from religions, social systems and our families. Christians for example, are often perplexed with the powerful and complex emotion that is anger, because of the conflicting messages that the Bible offers. When I enter a training room, where I often talk about self-leadership, and I mention the word anger, I start seeing the most peculiar and interesting body language around the room. This happens even more so when I ask, Who here thinks that anger is bad? 80-90% of the students in the training room raise their hands. When I go onto ask, Are you an angry person? Do you know your anger? I see uncomfortable physical responses and reluctant head nods. So do we really know what anger is and what its origin is? Do we know its real purpose? Why do men and women experience anger? Why are the majority of us so quick to avoid this emotion? As someone who’s anger has sabotaged her life for a long time, I strongly believe it’s essential to understand the purpose of anger. Understanding the purpose of anger is essential to learning how to process anger in a constructive way. Anger is an emotion, and according to my own experience, it is powerful and very complex. It’s said that anger is meant to prepare us human beings to respond quickly in times of danger. It’s purpose was originally to protect us. Yes, anger can be a dangerous emotion and when it is misunderstood, repressed or used maliciously, it overrides the said useful purpose it was given to us for. Because of its capacity to be used negatively, it has long been perceived and judged as a bad emotion, one to be controlled, resisted and suppressed. 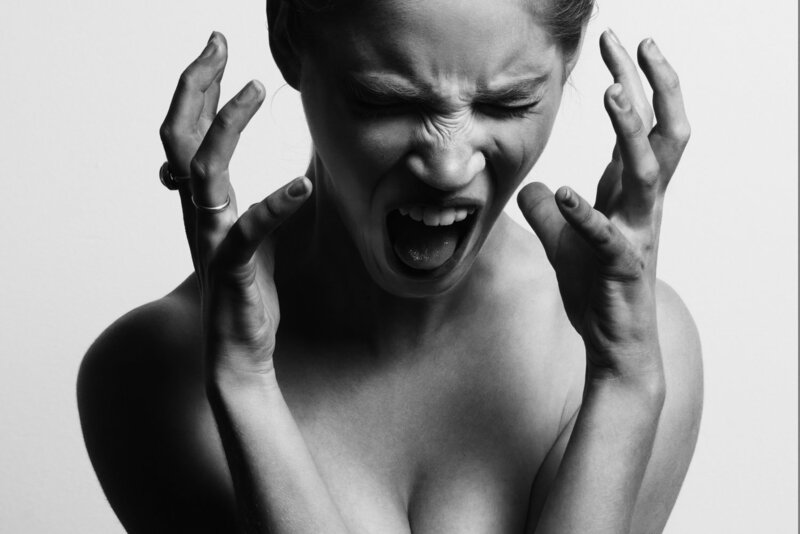 For many, the different psychological aspects of anger remain unknown. For others, they remain a blur. I choose to believe that in both cases it begins from the misunderstanding about the purpose of human anger. Since 2001, I have counselled and coached couples and individuals, parents and young adults over many years. Since 2005, I’ve worked with thousands of adults dealing with multiple family problems, in workshops and trainings dealing. In almost all cases, these individuals and families struggled with their inability to acknowledge, understand and therefore claim their anger. What is anger triggered or fuelled by? Where do we go to learn to process our anger? To these questions, I was often faced with clients looking back me curiously, fearfully, disgusted or puzzled. I’d conclude affirming that anger is simply an emotional response to some event or circumstance in life or at work that causes us frustration, hurt, irritation and displeasure. What is anger’s real and fundamental purpose? To beat up or oppress someone? To kill and violate the rights of other people? To humiliate and victimise men, women and children? To unleash our unhappiness or frustration? To cover up our fear? “Not at all,” I always tell my students in class and clients in the room. In fact, anger is not designed to drive us to do destructive things to the people who may have wronged us, nor does it give us license to say or do destructive things to our neighbours. We are born with anger embedded in our DNA for a positive and simple purpose: to protect us and allow us to live life fully alive and fully human… to live will and in joy. It is given to us to motivate and inspire us. Overall, it’s designed to set us into positive and constructive action when we encounter injustice or wrongdoing. A loving action that will leave things better than they were before, when approached in a healthy and aware manner. It’s when we use it to attack, that we are not respecting the real reason for which anger is a part of the complex array of our emotions. When we use anger to attack we are letting anger control us and failing to master it. Fundamentally, anger is present to protect us. In this modern society, this means protecting us from our own wounds, fear and pain. This can be manifested in neurosis, obsession, possessiveness, jealousy and more. Anger is trying to protect us from ourselves and from others and their own anger. It’s when we stop judging anger as ‘bad’ that we can allow it to do it’s job without hurting ourselves and others in the process. “Did you know that anger is not a primary emotion?” I frequently ask people. Anger’s in fact triggered by another basic emotion: fear. And also by confusion, or a mix of negative emotions within us occurring all at once, amongst which we can count anxiety, panic, guilt and shame. Also, anger can be triggered by stress on any level (dimension): physical, intellectual, relational and social. Anger is also triggered by pain, we sometimes use anger to protect ourselves from our inner pain. By recognising this is what can trigger human anger, we can become more aware and compassionate about other’s anger whether it’s aimed towards us, themselves or others. Where do we go to learn to process anger? For many of us, the answer if the counsellor’s room. Or an anger-management retreat. Unfortunately, most people do not go to counselling until their mismanagement of anger has gotten them into serious trouble. Some don’t even go then. I was moved when a few days ago, playing Padel at the beach, I encountered a situation of abuse from my male friend. I felt a sudden surge of anger upon seeing him act disrespectful and arrogant, only able to laugh and minimise what happened and how he behaved. My racket was damaged and I could have been badly hurt. I was in my own space on the court, called the game word “mia”, and still my partner cut across and risked causing me harm. Still, he would not admit his wrongdoing or mistake, despite the evidence that it was unnecessary to swing into my section of the court. The two Spanish ladies playing against us witnessed it all and instead of supporting me or denouncing what had happened, they chose to remain silent and carry on playing. We lost the game and when we re-entered the court I clearly and calmly stated that I was feeling angry. The result? Everyone ignored my statement that I’d expressed in a firm but calm way. I was able to manage my state of anger against the abuse and I went on to play pretty well, killing the expectation of my narcissistic companion. I guess he might have simply wanted to trigger the anger in me which he could not express himself. Or unconsciously he wanted me to become ‘small’ and afraid. Who knows! I smiled after the game and stayed with my feeling of anger. I breathed into my anger and gave myself permission to feel it in all its constructive (not destructive) power. One of the female players stopped me after the game and said, “Elisabetta, I understand but don’t be angry. Be happy!” And another man who’s a part of our group came up to me and said, “Elisabetta, we play to have fun not to be angry. Please don’t be angry”. I felt restricted and betrayed, sad and alone in my attempt to protect myself. I felt like a victim of an injustice. My racket was broken and I was left to deal with it by myself. I was emotionally shook and felt very isolated and judged, despite having grounds for the way in which I responded to the disrespectful action and reaction of others. And in that moment, I felt the rage a woman might feel when humiliated, laughed at, abused of even violated by a man. I know my anger though, and today, differently to before because of the awareness I’ve developed, I know it’s better to confront it and deal with it. I didn’t choose to implode just because I was told to do so. Instead, I chose a positive re-action for myself: I went to play alone against a wall in order to discharge my anger fully and healthily and transform it into a feeling of love and compassion for the man I felt had wronged me. It was a loving, powerful choice to acknowledge my anger and give voice to it instead of denying it or taking it out on a wrong target in the wrong way, or even worse, expressing it against myself. It softened my heart and removed the initial negative thoughts about the man. I met him 2 days later and felt that he was uncomfortable around me at the club’s cafe. He attempted a hello and I knew he was acting out of shame and still not able to fully take responsibility and apologise. This episode and others that transpired over the past week motivated me to write about anger and its power today. There is much more I’d love to say and perhaps someday I’ll write a book about this powerful, mysterious and misunderstood emotion. There’s a lot to say, but for now I implore you to explore the questions posed above and investigate how you perceive or judge your anger, if at all. Do you suppress it? Do you over-express it? Is it affecting your life and if so, how can you change your relationship and awareness about anger?